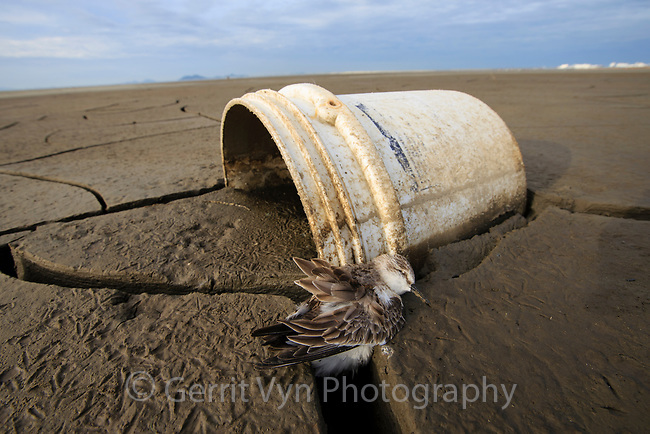 A Red-necked Stint lies dead on mudflats shared with Spoon-billed Sandpipers as the result of pollution. This bird, less than a year old, had travelled thousands of miles from its arctic breeding grounds. Saemangeum, South Korea. October.